With Engage you can easily create as many widget areas as you wish. You may even have a different sidebar on each page or blog post. 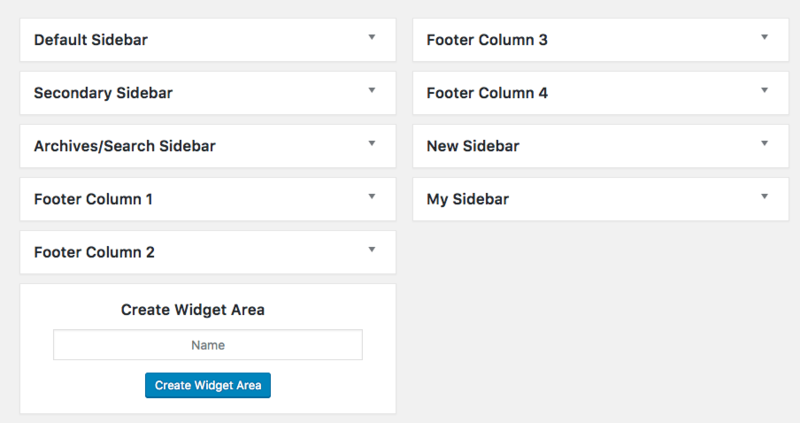 Need to adjust the sidebar width, position or you need two sidebars on your page? Not a problem at all. You may also adjust your sidebar stylings within the Theme Options panel. By default the theme comes with 7 widget areas: Primary Sidebar, Secondary Sidebar, Footer 1-4 and one for WooCommerce (if the plugin is activated).